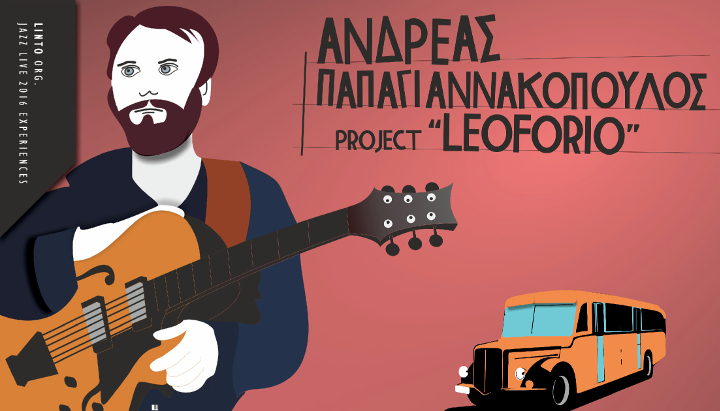 Andreas Papagiannakopoulos live- project "Leoforio"
On Friday November 4, 2016, 21:30 Linto is commencing its live sessions with the jazz player Andreas Papagianakopoulos and his new project "Leoforio" (meaning: bus). "Leoforio" is the name of Andreas Papagianakopoulos’ new personal project, which was created along with Thanos Chatzianagnostou (drums) and Konstantinos Manos (contrabass). It consists of original compositions by Andreas Papagianakopoulos, with standard influences by the European and American jazz, and the electronic and psychedelic music scene. "Leoforio" is the vehicle the three musicians board and are in quest of new ways of expressions, while at the same time they improvise creating music for a journey with much and various scenery. The album "Leoforio" was released in April 2016 by Re-Define Productions and has been chosen by the Onassis Cultural Centre to be featured at the New Jazz Generation Festival 2017. Andreas Papagianakopoulos has studied at the Jazz and Pop Music Department of the Utrechts Conservatory of Music in Holland majoring at the electric guitar. He has been immensely active at the Amsterdam and Utrecht music scene, participating in music ensembles / big bands, teaching and creating his own projects: Yiafka Playground along with Stelios Chatzikaleas, Black Cats Jazz Band and Volos Jazz Orchestra. Since 2010 he has been living in Athens and cooperating with important Greek Musicians such as George Kontrafouris and Andreas Polizogopoulos. He has worked as an electric guitar instructor, as a radio producer at Nova fm 106, but also as the artistic director of the Makrinitsa Jazz Festival. 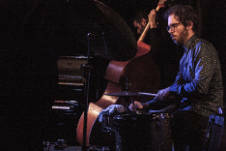 He has set up the "Jazz Improvisation Workshop" and the "Horto Jazz Workshop" at Horto, Pelion.